In February 2008, the superpowers of wireless phone service--AT&T, Sprint, T-Mobile, and Verizon--engaged in a brief but fierce price war that left them all offering unlimited calling plans for $100 a month. But how does paying half that amount grab you? Unlimited wireless service for $50 or less isn't a new concept: Cricket and MetroPCS have offered it for years, specializing in prepaid plans without credit checks or contracts. In recent months, however, new players, including Boost and Virgin Mobile, have jumped in. Even T-Mobile is dabbling with the idea, albeit in the form of an "Unlimited Loyalty" plan offered only to existing customers with a record of reliable payment. And coverage, plan options, and phone choices--all of which have been notoriously skimpy in the past for these cheaper plans--are all improving. 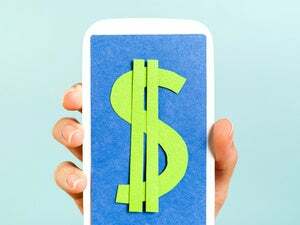 In short, fifty bucks a month has never gone further when it comes to wireless service. But these carriers and plans still aren't for everybody: Business travelers, Internet addicts, and those who covet hot handsets all need to think carefully before signing up. They're "good for consumers if they primarily use their phones for voice and don't care whether they have the latest smartphone," says Sue Marek, editor in chief of wireless-industry journal FierceWireless. In other words, they're an intriguing, affordable alternative to a landline. To figure out whether a cheap, unlimited plan is for you or a member of your family, consider the following issues. Coverage: You should examine online coverage maps before switching to any wireless carrier. Until recently, the Cricket and MetroPCS "unlimited" calling plans were actually extremely limited, as they applied only when you called from within areas where those carriers did business. What's more, neither company's service was anywhere near pervasive. Cricket, especially, has tended to focus on medium-size markets--in California, for instance, it serves Fresno, Modesto, and San Diego, but not Los Angeles or the San Francisco Bay Area. That's changing, however, as both companies have added more big cities to their coverage areas. So far in 2009, Cricket has entered Chicago and Philadelphia, and MetroPCS has added Boston and New York. Just as important, the two carriers signed a deal that lets each one's subscribers roam onto the other's network at no extra cost. That free roaming, however, applies only to plans that go for $50 or more a month; both companies offer unlimited calling plans for as little as $30 a month, but the cheapest options are so bare-bones that they don't even include free long distance. Phones: You don't need to sign a contract to get cheap unlimited wireless. That's mostly good news, but it also means that the carriers won't sell you a high-end phone for peanuts; most of the phones offered with inexpensive plans are either fairly basic or relatively pricey. And as FierceWireless's Marek points out, "these carriers don't get the hot phones, at least initially. Manufacturers reserve those for their biggest customers." You also don't get the dizzying array of phones that major carriers supply. When I checked, MetroPCS had 17 models, Cricket had 15, Virgin had 12, and Boost had only 5. Nevertheless, the coolest handsets you can get from this generation of cheap providers are indeed cooler than those that prepaid carriers have sold in the past: I looked at Cricket's $230 Motorola Hint (also available from MetroPCS) and Virgin's $100 Kyocera X-tc, both of which have slide-out QWERTY keyboards and decent media and Web features. All of Boost's models offer push-to-talk capability, and all but one include GPS. Despite the lack of subsidies, all of these companies also have some budget models--Virgin has three $10 phones and Cricket has four $50 handsets--but they tend to lack features that you may have forgotten a phone could do without, such as Bluetooth, a camera, and the ability to play MP3s. 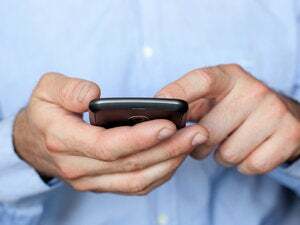 Internet: By definition, all-you-can-eat calling plans are aimed at people who like to talk a lot, so it's not surprising that $50 unlimited-service plans remain voice-centric. Internet features are everywhere, but they feel like a flashback to the B.I. (Before iPhone) era: Many of the phones from Cricket, MetroPCS, and Virgin don't do high-speed 3G data, and none of Boost's do. Most of the handsets have only basic browsers, but instant messaging is common, and some models have e-mail capability. Unlimited Internet, text, and multimedia messages are included in the $50 plans from Boost, Cricket, and MetroPCS. Virgin charges $5 a month extra for 1000 text, multimedia, or instant messages or $10 for unlimited messaging; Web access is $5 a month for up to 20MB, or $10 for 50MB. The company doesn't offer unlimited Internet at all.